Here, legendary chef Jacques Pépin’s superb Christmas goose dinner menu. When Jacques Pépin was growing up he only ate goose on Christmas Eve. 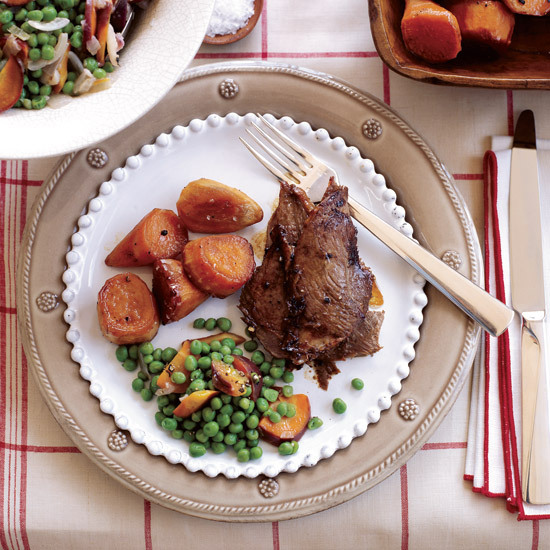 Here is a menu with traditional French holiday food, beginning with the goose. Separate the skin from the meat, then steam the goose before roasting—an adaptation of a Chinese technique that helps the bird baste in its own fat and ensures crispy skin. 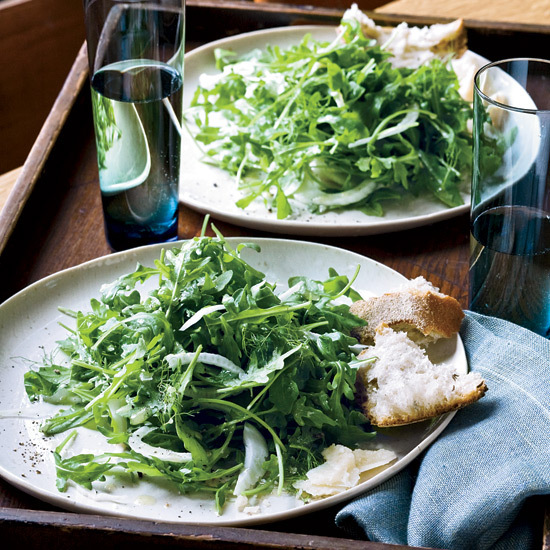 Eugenia Bone, prolific home cook, writer and author of Well-Preserved, serves this simple green salad with a cheese plate and plenty of rustic bread. She always includes Taleggio and aged Parmigiano-Reggiano, as well as fresh imported sheep’s-milk ricotta whenever she can find it at the market. Parboiling the sweet potatoes shortens the cooking time and keeps them moist. 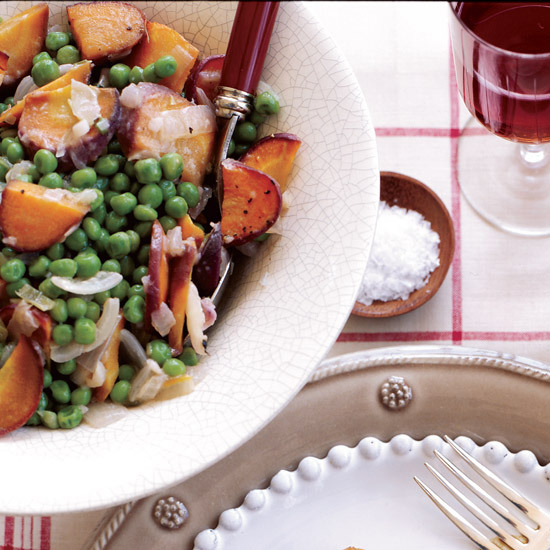 This delicious old-fashioned dish features peas and carrots in a lightly thickened, buttery thyme-infused sauce. 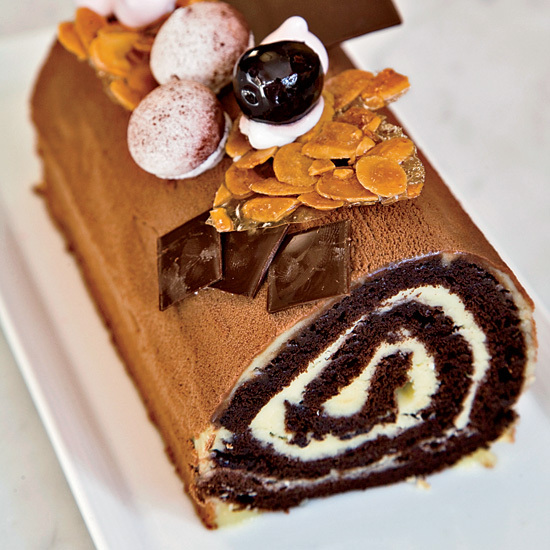 Every year during Christmas week, executive pastry chef Dominique Ansel of Daniel in New York City serves guests complimentary mini bûches de Noël. His version here is lighter than many, thanks to the beaten egg whites in the batter and the use of whipped cream in place of buttercream as frosting. 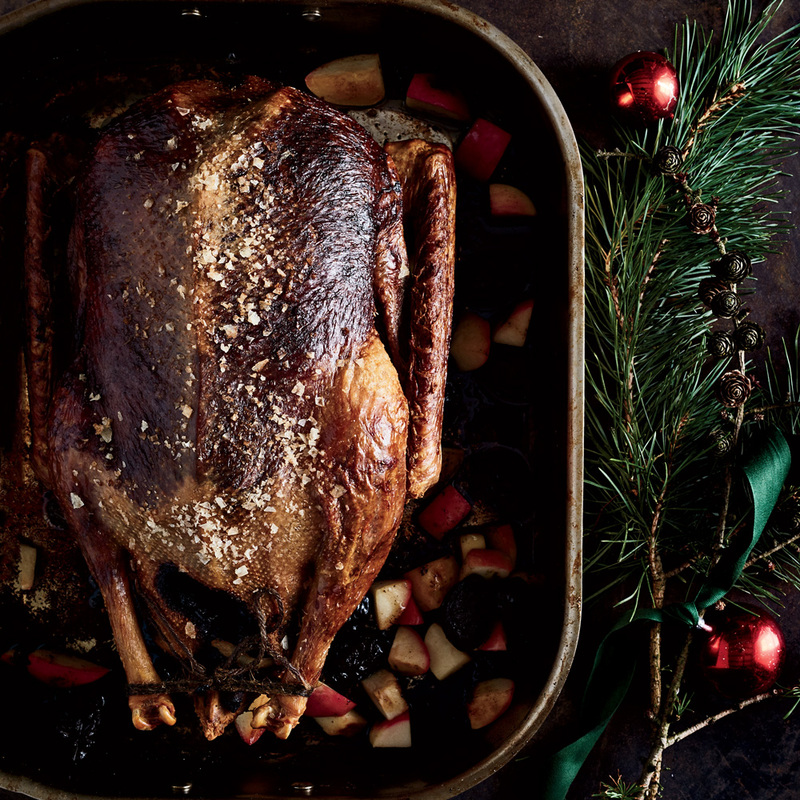 Nadine Levy Redzepi soaks prunes in Armagnac until they’re superboozy and plump, then combines them with apples and garlic to create an elegant stuffing for roast goose. 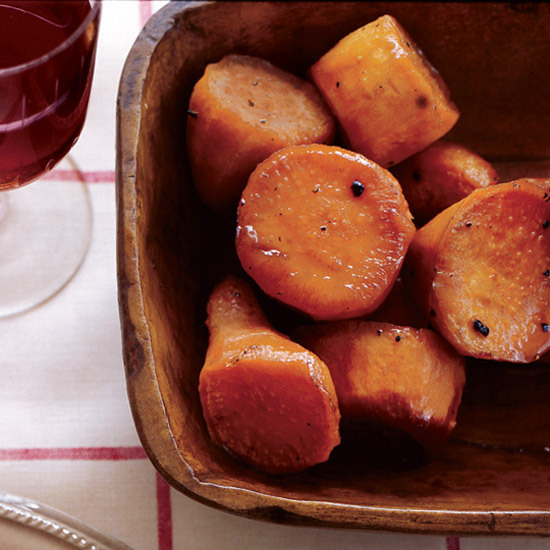 If boozy flavors aren’t your thing, you can soak the prunes for as little as 2 hours.